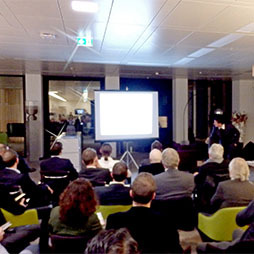 A preparatory meeting for the creation of a CTBUH Germany Chapter was held on the 7th floor of the TaunusTurm in Frankfurt, kindly sponsored by Werner Sobek. How and why did Frankfurt rise to such architectural heights? 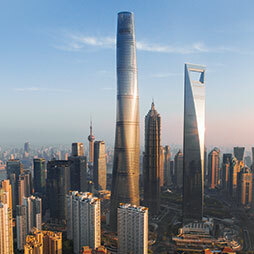 The exhibition explores this question and offers an overview of the history of the city’s high-rises. 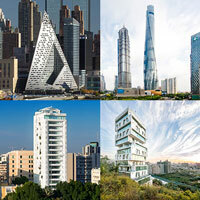 Buildings nominated from the International Highrise Award are being showcased in the BEST HIGHRISES 2014\15 exhibition. The striking interrelationship of the tilted façades forms the central theme of the design of this office tower and its smaller neighboring hotel. Already being touted as one of the most energy-efficient office buildings in the world, KfW Westarkade stands out as a shining example of a truly environmentally-responsible project. The effects of industrial capitalism and secularism have not only seen the fall of public man (Sennett 1976) but the slow disintegration of the public realm.